Everyone can benefit from a visit to one of the best spas in Bend Oregon. Whether you are a local or simply visiting Bend for a short getaway, you need some TLC and rejuvenation every once in a while. Spas offer the perfect solution to nearly everything that ails you. Massages for your aching muscles, facials for your worn skin, manicures and pedicures for your neglected hands and feet, and even treatments that can help restore you from the inside out. Regardless of whether you spent the day in the mountains hiking, biking, snowshoeing, skiing, or if you simply shopped until you dropped, there’s something for everyone at one of these great spas in Bend. The staff at Anjou Spa are not only committed to ensuring you have the most relaxing and revitalizing visit but they are also committed to keeping their spa as green and toxin-free as possible. All of their towels and robe textiles are specially chosen to reduce time in the dryer in order to reduce electricity use. They aim to reduce packaging and waste, recycling everything they can. Empty product bottles are even sent back to vendors to be recycled and reused. 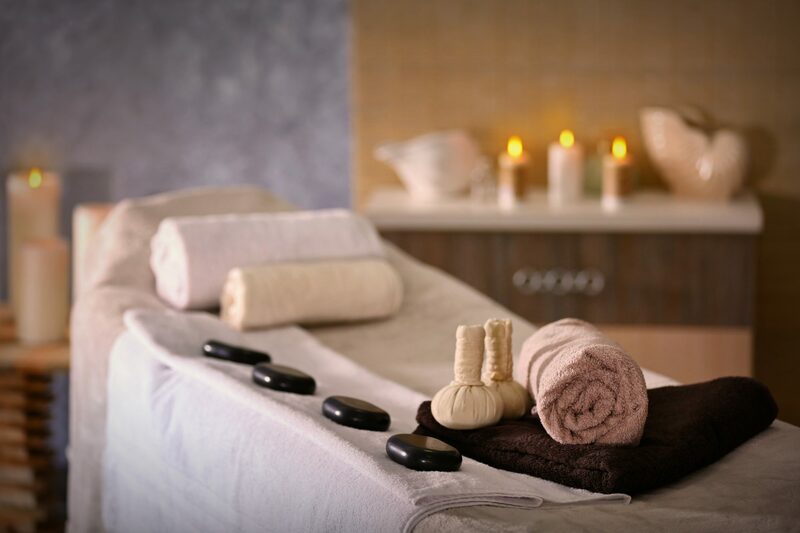 At the spa, you will find treatments for just about everything your body could need. From the full body works – focusing on site-specific musculoskeletal issues – to minor detailing on the brows, legs, or bikini, you will find it all here. For good reason Anjou Spa got voted best day spa in 2018 by The Source Weekly. When you book a treatment at their facility, you will also receive a complimentary visit to their hot sand sauna and steam room, which is good for a visit up to 2 hours. The Spa W has been voted Central Oregon’s best day spa by The Source Weekly for 15 years running. Here they invite you to give in – give in to your body’s needs and simply indulge in a little self-care. At the spa, they use the finest natural ingredients to pamper your body. You will be greeted by friendly faces when you walk in the door as you are offered a variety of refreshments like cucumber-infused water and herbal tea in the relaxation room. Their signature facial – The W – is highly recommended, which includes cleansing, steaming, exfoliating and extractions. The Honey Salt Glow is also a highly recommended service. It starts with a full body sea salt scrub and finishes with a honey wrap that rejuvenates and nourishes your skin. If you want something a little simpler, you can book yourself a massage, manicure, or pedicure for a little bit of pampering. Another “Best Spa” vote, this one by Central Oregon Magazine, Jinsei is “your partner for intuitive, custom car and improvement in your overall well-being.” Their facilities and services are designed to support your journey to balance within and without. Knowing that a good skin care regimen begins with the right products, the staff at Jinsei spa hand pick every product they use. Like the products they use? You can find the same products used for your treatments in their retail shop at the spa. Not sure what you want? Choose from their selection of spa packages. Keep it simple with the Tranquility package which includes a Balancing facial, Jinsei manicure, and pedicure. Or you can get the works with the Nirvana package, starting with the Hammam or Sento Ritual, followed by the Oxygenating facial, and finishing with a pedicure. Are you finding yourself becoming a regular visitor? Join their loyalty rewards program to gain points with each visit that can be used toward future spa services. You can even get points for referring a friend to your favorite spa. “Retreat. Relax. 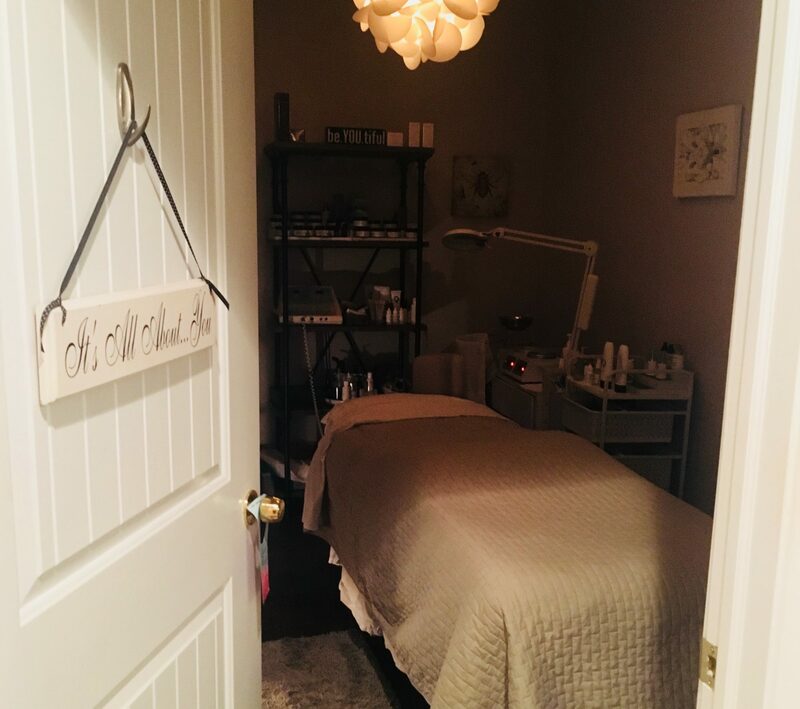 Regenerate.” Conveniently located in the Old Mill District on SW Powerhouse Drive, you can easily pop into the Bend Day Spa after a day of shopping to rest your weary feet and find refreshment. The spa is all about supporting the locals. You can find local Bend products, including Angelina Organic Skincare, as well as complimentary refreshments like local beer, wine, and kombucha. They even offer special “locals only” packages. Their massage menu features several offerings that cater to various lifestyles and preferences. Choose from the long, gliding strokes of Swedish massage with Nature’s Nurture, or focus on problem areas with a Desert Deep Tissue massage. You will also find the Mother-to-Be massage, which focuses on just the right amount of pressure in those areas that ache due to pregnancy. Not ready for a full massage? Book the Hiker’s and Climber’s Delight to focus on your aching hands and feet that result from a day in the mountains or a hard day of shopping. Sometimes home skin care just isn’t enough. Every once in a while, you should set time aside for a full facial complete with deep cleansing, exfoliation, and hydration. It’s just like going to the dentist – brushing your teeth at home is essential, but you need to go to the dentist regularly to have them clean those hard to reach places. Revive Skin Services is run by licensed esthetician Shelly Hopple. They have been open in Bend since 2012 and are going strong. Through facials and microdermabrasion, she has seen improvement in all types of skin during these years of service. A visit to her spa will leave you feeling revitalized and looking younger with baby soft and clear skin. Here you will find a variety of facials customized to your particular needs. Treat your redness and rosacea with LED light therapy, or book a Pigment Fade Facial to lighten those areas of dark, blotchy skin. Revive Skin Services doesn’t just offer facials, though. With a team of trained professionals, you can find a variety of treatments including medical cosmetics, massage, and acupuncture. Spa treatments shouldn’t just focus on the outside, beautifying your skin and relaxing your muscles. Spa treatments should focus on renewing our body both inside and out. At High Desert Hydrotherapy, balancing your health on the inside is what they focus on. It may seem a little odd to seek out a colon hydrotherapist, but once you understand the wear and tear that your digestive system goes through, you will want to give it a try. It’s all about detoxing and cleansing to remove old matter, mucus, and gas with a gentle stream of water. They don’t just offer colonics though. You can find other spa services that help you to relax and even potentially lose weight – if that’s what you’re after. They have body contouring to help you lose inches, infrared sauna therapy to help stimulate your metabolism through sweat, and detox body wraps to help the body naturally dispose of toxins. The owner of Face to Face Day Spa is committed to ensuring her clients have a great visit and leave feeling more positive and relaxed. They are even willing to work with your specific needs whether that means accommodating you outside of their normal hours of operation or offering a service that isn’t on their menu. They offer a variety of services that will leave you both looking and feeling good. This includes massage (deep tissue, Swedish, and maternity), facials, manicures and pedicures, waxing, and even hair design (cut, color, weaves, balayage, and even extensions). If you want a little taste of everything they offer, try booking one of their spa packages. Preparing for a day out with the girls or an evening date? Try the Ultimate Treat which includes massage, facial, shampoo, style, finish, and professional makeup application. Just need time to yourself to relax? The Royal Spoil allows you to enjoy a massage, facial, manicure, and pedicure while you sip on complimentary wine or champagne. Located in downtown Bend on Bond street, Zant’e Salon and Spa is your Bend Oregon Aveda establishment. Enjoy one of their services features Aveda products or simply stop by to pick up your favorites to take home. If you do decide to stay for one of their premium services, you will find that their hours are very accommodating. They are open until 7:00 PM on weekdays, 6:00 PM on Saturdays, and 4:00 PM on Sundays. With flexible hours, you should be able to find time to stop in regardless of your demanding personal schedule. At the spa, they offer a little bit of everything to help you both feel and look beautiful. Go in for a new hairstyle – including extensions – or relax with a facial or massage. Spas don’t have to just be for women either; they have men’s styles available as well at the salon. Zant’e also offers bridal packages to help you feel and look your best on your big day. Stress wreaks havoc on our skin; it’s one of the main contributors to dehydration and breakouts. Sometimes you just need a good facial to put life back into your skin and help you forget the stress and woes of your daily life. At the salon, you will find facial treatments customized for anti-aging, specialty and seasonal needs, as well as for men and teens. If you are currently undergoing cancer treatment, you will also find an oncology facial to help alleviate skin issues due to medications and chemotherapy. Sometimes your skin needs a little more TLC than surface creams and massage can offer; sometimes you need a little help from a laser to reach those problems just below the surface. The facility offers several laser procedures including laser hair and tattoo removal, skin resurfacing, spider vein removal, and cellulite treatments. You can also find waxing, micro-needling, skin tag removal, and chemical peels. Esthetix MD Spa also offers an award-winning treatment called CoolSculpting. It uses controlled cooling to reduce stubborn fat in those areas that diet and exercise can’t seem to help. With your treatments you will be able to enjoy comfort in plush robes and slippers, soothing music, Netflix on large TVs, and refreshments. They’ll even provide lunch if you have a treatment that lasts over four hours! If you are looking to combat aging and enhance your natural beauty, you’ve come to the right place. The professionals at Elite Medi Spa help their patients “defy age” with research proven, non-invasive technology. They can treat just about every skin flaw you don’t like including fine lines, wrinkles, acnes, spider veins, dark spots, and dry skin. You may not even have “problem areas” but just want to keep your skin looking flawless and beautiful. There is a variety of skin rejuvenating services, including the Vampire Facial, which utilizes the power of your own blood to help your skin look young and beautiful as well as even its tone. They also have cosmetic procedures including injectables and spray tan. With the rising popularity of microblading, Elite Medi Spa also offers these services to help your makeup routine to go faster and keep your eyebrows looking picture perfect all day. Women always want to look their best; more and more tutorials can be found online for hair styling and makeup application to help women feel confident and look great. But in order to apply flawless makeup, you need to start with a good base. That’s where skin care comes in. Located next to Ben Dermatology Clinic, their extension, DermaSpa, was opened in 2007 as a response to their clients’ increasing requests for cosmetic procedures. Here they offer an array of advanced aesthetic and cosmetic procedures to help enhance your naturally beautiful skin. Looking to plump certain areas of your face or hide fine lines and wrinkles? Try one of their injectable services. Their peels and microderm services can help remove dead skin cells and smooth the look and feel of your skin. They also have laser procedures to target sun damage, acne scars, and dark spots as well as tattoo removal. Located in Sunriver Oregon, the Sage Springs Club & Spa captures the spirit of the Oregon high desert – its warm ambiance and indigenous products. The spa is dedicated to your health and well-being, offering services and products that are organic and locally grown. Inside the spa, you will find a vast selection of services as well as treatment rooms to help you feel relaxed and rejuvenated. Book a massage or facial for two – whether that’s your best friend or your loved one – in this duo treatment room, or enjoy lunch and refreshments in their relaxation room. Find spa treatments that meet your needs no matter what time of day it may be. Try the Sun Up package to help wake up tired skin, or the Sun Down package to help you unwind and release tension from a difficult day. You can also find packages and treatments specifically designed for men who may need a little relaxation as well. Starting in a small garage, Shibui Spa has grown over the years into a highly sought-after retreat in Sisters Oregon. Its name describes the art of simplicity, with an unassuming and quiet feeling. This is exactly what the spa strives to attain and give to its clients and visitors. They offer quite a variety of spa packages that incorporate massage, facials, nail pampering, and holistic treatments. The best way to enjoy a day at the spa is to book their spa sampler. With your appointment, you get a 45-minute classic Swedish massage, 45-minute European customized facial, and 45-minute Shibui Signature pedicure. For optimal spa experience, you are asked to arrive an hour before your scheduled time. This may seem a bit like overkill, but it won’t be like waiting at your doctor’s office. Here you will have time to relax and enjoy the hot thermal soaking tub, Swedish sauna, and cold-splash refresher shower. Also located in Sisters Oregon, the Spa at Black Butte Ranch is the perfect place to stop if you need to rejuvenate your body and refresh your soul. The therapists on site offer an assortment of services to help reduce tension and stress while providing a relaxing experience. Here you will find a variety of massage treatments and facials as well as add-ons that allow you to customize your experience to meet your specific needs. They also offer packages for complete rejuvenation as well as those catered to men, brides, and even kids under 14 years old. As a spa guest, you will have full access to the indoor pool, fitness center, steam room, and hot tub. There is also a gift shop where you can find a variety of organic skin products, clothing, shoes, swimwear, gifts, jewelry, and more. Make the most of your visit by checking out the other offerings at Black Butte Ranch, including a stay in one of their lodging accommodations. Who would ever think of combining beer and spa treatments? Only Europe, of course! And after Mike Boyle discovered the benefits of Beer Spas while in Europe on a business trip, he brought the idea back to the states. There he partnered with Sally Champa, a Naturopathic Practitioner, Herbalist, and Massage Therapist, in order to create Hop in the Spa. This unique spa in Sisters Oregon offers some unique beer-based spa treatments. 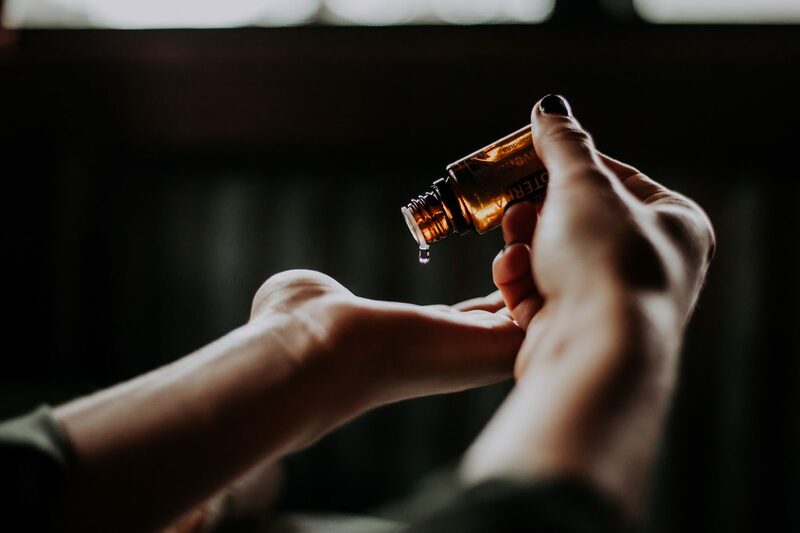 You will find microbrew soaks, specialty hop treatments, and massages using a hand-crafted hop oil made by Sally herself. It is also the only spa to introduce Hop HydroTherapy. Choose one of their microbrew soak and massage packages – either the Black Butte Porter or Frontier Justice Barrel Aged. You will enjoy their signature Hop HydroTherapy and a massage as well as a fresh baked Bavarian pretzel with specialty beer mustard and a selection of Descutes Brewery beer.